MSG bulletin 23:3 (summer 2008) Review New!!!. MSG bulletin 23:2 (spring 2008) Review. Lithops and Conophytum: comparison of distribution. 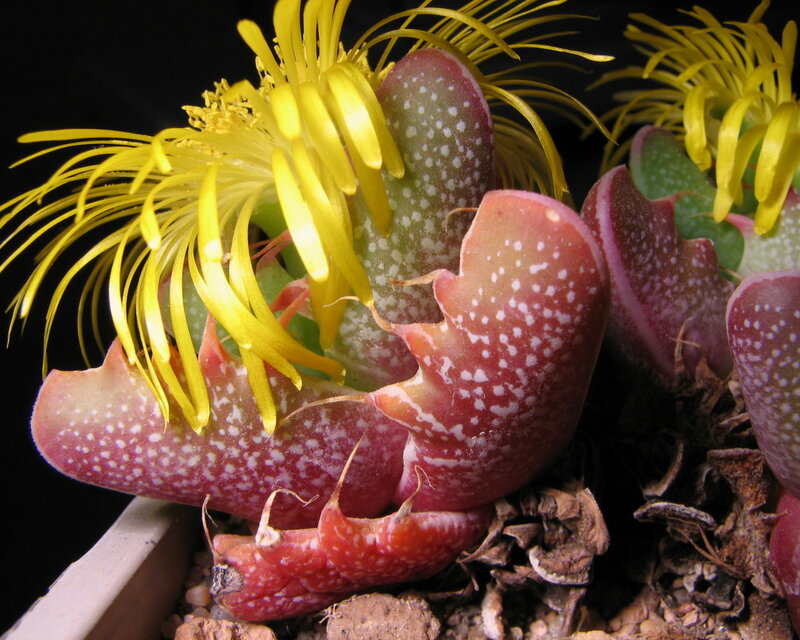 April 1 joke (2006): new Lithops species. MESEMBS group: best mesemb-related community! Living rocks but not only exhibition, Omsk, Russia, 2007. My mesembs, June 2007 (17). My mesembs, April 2007 (11). 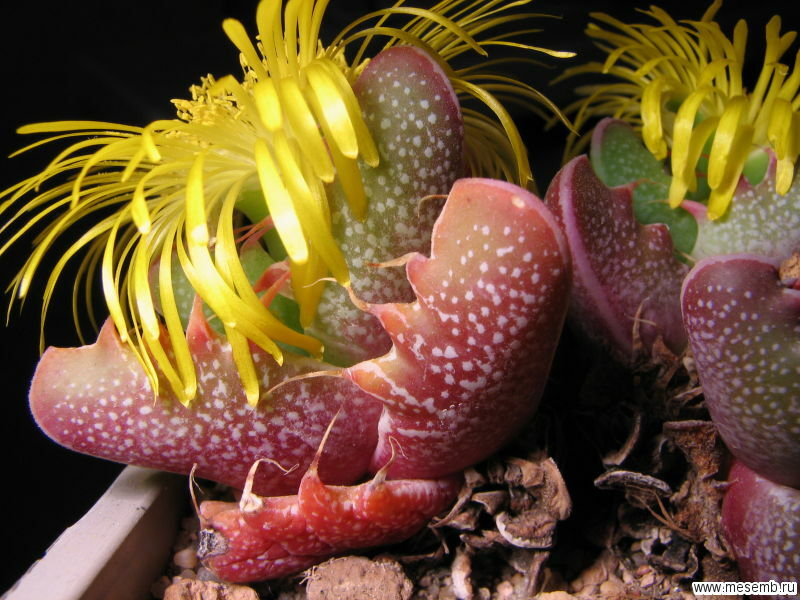 Flowering mesembs of Central Siberian Botanic Garden (photo by Yuri Nalimov, 2006). Flowering faucaria, frithia, fenestraria, lithops, titanopsis. Mesembs of Central Siberian Botanic Garden.